Curious about what to expect from participating in a silent Yoga retreat? Read on! Participating in a yoga retreat can be a transformational and intense experience. Yoga retreats provide a wonderful opportunity to deepen your yoga practice (or kick-start it) and a chance to discover new skills, techniques and realizations along the way both physically and mentally. There are dozens of types of yoga retreats: meditation-based, adventure retreats, music and sound-healing, ayurveda, and even hula hoop yoga! Now imagine going on your first-ever retreat, and not talking! Silent retreats are designed to allow for quiet contemplation and meditation, and conserving energy in order to turn inward. While it can seem extremely intimidating, a silent retreat can be an insightful (and sometimes uncomfortable) experience. If you’ve been contemplating disconnecting from your devices and distractions and signing up for a silent yoga retreat, Julia from The Roaming Flamingo recently attended a three-day silent retreat and shares a handful of insightful takeaways and thoughts from her journey so you have a better idea of what to expect. Read on! My body isn’t as bendable as a snake. Nor is it athletic like a cat. What I am trying to say is that I have never fitted into the category of being flexible. Girl can’t even touch her toes! Gyms and workout classes are a foreign concept to me and so is the sound of silence so participating in a silent yoga meditation retreat was going to be a bit of a challenge. It is a challenge I would encourage many to have, especially those leading fast paced lives and being surrounded by constant noise; hands up who fits into that category! The state of my overall well-being had been on snooze for way too long. The alarm had rung to escape the racket and head to island paradise for some seclusion and silence. Yearning for more Yoga during your travels? Click here for 20 easy ways to practice while you’re traveling! Why go on a silent yoga retreat? This girl can’t even sit still on a chair for five minutes and that is why I leapt at the chance to go the extreme. For years and years, I have made the new year resolution that I never kept; to get some more Zen in my life and practice yoga despite the fact I knew it was something I needed to do for myself. I had also been feeling overwhelmed with the constant noise in my life. I hate to admit it but I have a huge dependency on technology as a writer and someone that is constantly on the road so I felt the need to tap out and nurture my body and mind through self-reflection and introspection. A silent retreat intertwined both of those needs – to really get in touch with one self spiritually, physically and mentally without distractions from anyone or anything – the only distraction a bird call away. What can you expect from a silent yoga retreat? Ask me if I would want to do this type of thing in high school and I would proclaim its almost detention-like. No phone, no wi-fi (did that even exist back then?! ), no meat-eating as it is all about clean eating and wait for it – no talking! It was bizarre to share a space with so many people you would assume to be like-minded individuals taking time out for themselves physically and mentally and not being able to talk to one an other – this was discouraged. Ironically, I found this refreshing as it really allowed me to focus on my relationship with the most important body of my life – me. The cult-like aspect of the retreat was the calendar of activities for the day – sunrise yoga session followed by meditation, lunch at your discretion, more yoga and capping the day with meditation. Attendance was optional for all activities and it was up to your timetable of how you wanted to sleep, eat, rest and practice. Up and away! Doing something like this was the wake up call I needed. 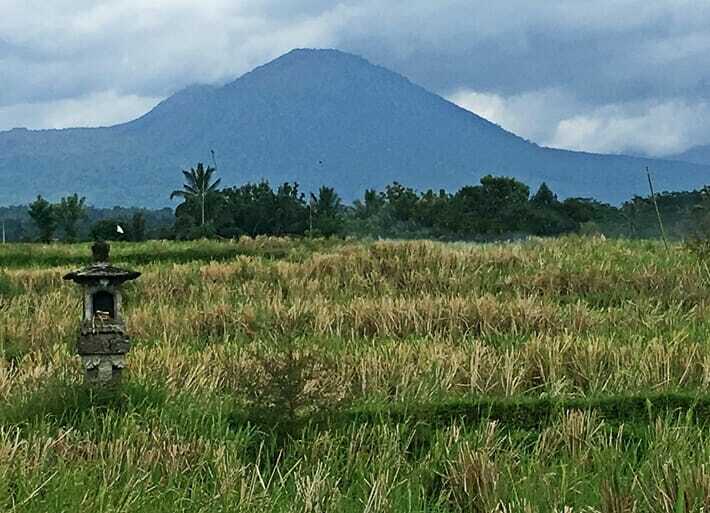 It was time to get in touch with my body and mind and what better place to go on a personal journey to better oneself than at Bali Silent Retreat, located in the heart of Bali and north-west of Ubud. Mixed in with rice fields, nearby hot springs and Mt. 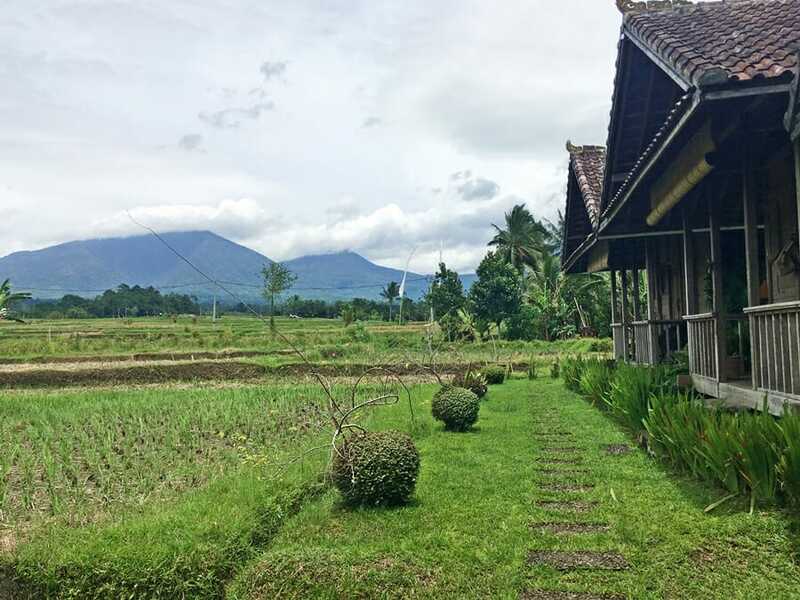 Batu Karu in the background, this retreat was the perfect place to take time out of the daily demands of normal life. It was going to be a unique holiday experience – one that would force me to reconnect with myself and test my mental strength to bend my body in ways I didn’t think possible! What do you learn from a silent yoga retreat? Sure I preach this like Whoopi preaches to the choir in Sister Act but this should be followed as gospel truth. There are many times were I do lose sight of this – far too many and how insightful it was to re-centre my mind in the present moment in a way that is so simple to do. One remarkable way that we were taught to practice this is to be thankful. After piling on your plate with the most heavenly vegetarian and slow cooked food (cashew nut cheese nachos or aubergine bacon anyone?) from the outdoor wooden buffet, it was encouraged to pause before giving your fork a work out. This pause for reflection made you consider the time, energy and effort that was put into making the meal that is placed right before you. It also made you be appreciative of the power of nature, earth itself and what it can be born from it. Then, of course, we were told to savour each and every bite and enjoy the fruits of mother nature. Feel like you’re struggling in a yoga class? Here are 4 things NOT to do, and what you can do instead! Phone beeping, tunes playing, conversations flowing, news blaring – it’s time to put the volume right down on all that white noise. It doesn’t help when I find myself constantly attached to my phone in the real world. I mostly use it for messenger or as an escape from everything by turning up the volume with my headphones plugged in and listening to music to get me in some kind of mood. How liberating it felt when I was made to cast the phone aside and not look at it for three days. I can honestly say that I did not miss it. How ignorance was bliss without knowing what was happening in the world and just being caught in my silent retreat bubble. I loved being off the grid, really feeling in tune with my own thoughts and really listening to the sound of blissful nature around me. Above all, it heightened my senses to be a bit more observant. Listen to it and nurture it. Stop using the excuse that life is too busy. Ah, isn’t everyone’s? I found the retreat to be the ultimate thing that recharged me and made me refresh my mind. It taught me the art of patience and how far the strength of the body can go. I can admit I have not treated my body and mind the best in the past as ironically, it takes a lot out of me to put pen to paper to express my thoughts and also to make exercise a priority. 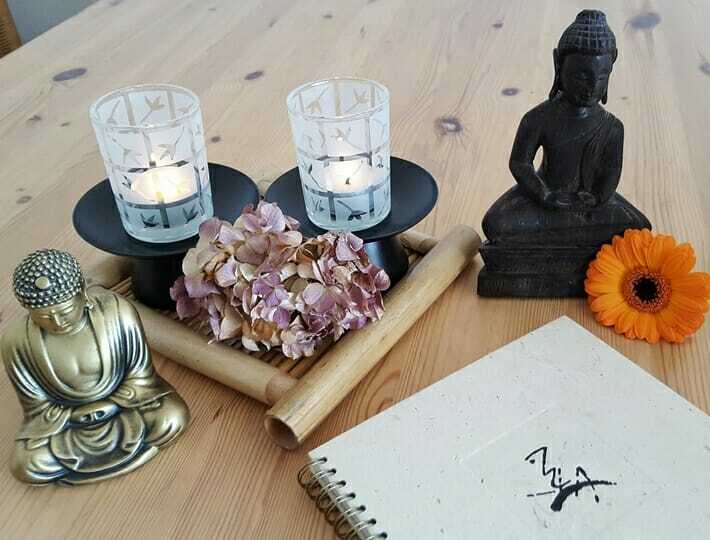 I felt with the practice of meditation and yoga, I had overcome these previous sentiments and adopt the mantra ‘recharge, relax, refresh.’ Ultimately, incorporating these into my life made me feel that much more productive and added that missing Zen in my life. 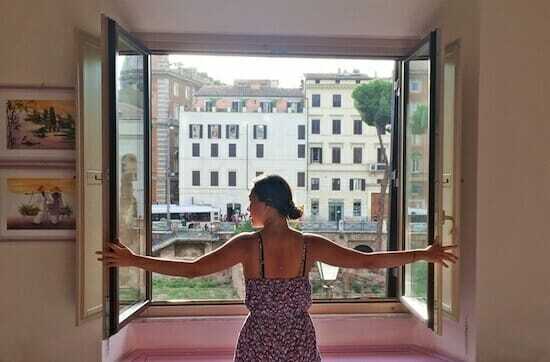 There are many ways to integrate more Yoga into your travels. Click here for 20 easy ways to practice more Yoga when you’re on the road! For someone’s mind that runs like a speeding merry-go-round, I found it really hard to silence the mind. Clearing my head was by far was the most challenging, more so than any yoga position (even if my back did hurt for a few days!) A weakness of mine is getting stressed too easily and overthinking things. Through the art of meditation, sitting upright and drawing in long breaths and slowly breathing out soothed me, made me calm (something that I deem rare in my life) and most importantly, cleared my head. You are also able to lie down in the art of meditation however I must suggest you exercise caution with this one – really allow your mind to focus as you may find yourself waking yourself up with the sound of a snore like I did! It’s all about being in the moment not sleeping through the moment! Have an other laugh at my expense here. I asked the meditation instructor (one rare moment I spoke in those few days) as she hosted an ‘Insights into Meditation’ evening if that, we were limited on time for meditation in our everyday lives, what would be a short and sweet way of practising it? Yes, I really did ask this! I was told to take five minutes out of your day and envision yourself walking to a room and upon entering the room, there would be a few objects of importance to you. To give you an example, I’ll set my scene up for you. My room will consist of a hammock (one of my favourite things in life), a photo of my family, pen and paper and a window overlooking the ocean. I found this little exercise help me to refocus in times of having the ultimate scatterbrain and really focus on the things that matter. We can’t always live at a silent yoga retreat (as much I would have liked to) and so I am back in the grind here in London. I plan to attend more yoga classes as I have again felt the pressures of modern society. Ultimately this experience changed me to be more kind to my body and not rely on technology too much. 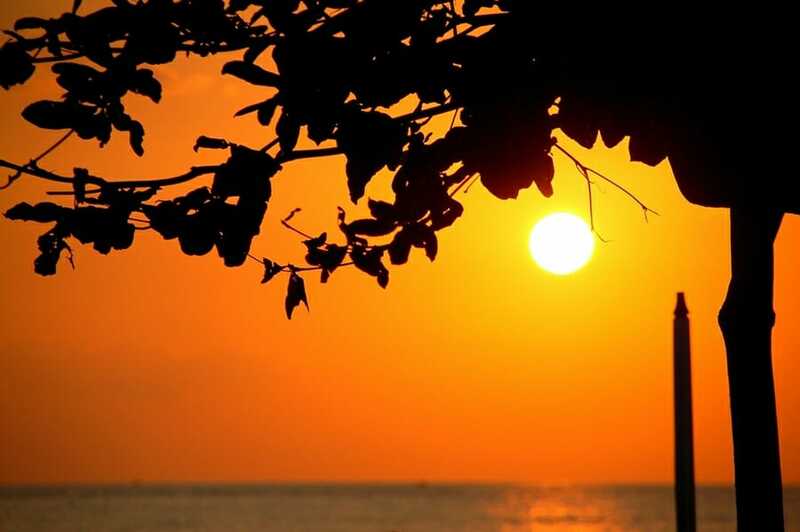 The most important thing is health and general well-being, and yoga and meditation is the best medicine for both – and doing it in a place like Bali is even better! Check out more Yoga-related content here! You can follow along on Julia’s adventures on her website here and her Instagram feed here. Have you ever attended a silent Yoga retreat? Share your experience below! Disclosure: This is a guest post by Julia from The Roaming Flamingo. Her stay at Bali Silent Retreat was not sponsored or compensated and any opinions are her own. Great article! I’ve always wanted to go on a yoga retreat and I think you’ve persuaded me. The places looks beautiful! I’ve always had it in the back of my head to go on a yoga retreat one day. Reading this has confirmed by desire so thank you! Sounds like an incredible must-do experience. I’ve been doing yoga for a year now and it has been an amazing experience! It’s such a peaceful and loving experience to be able to get in touch with your body and inner self. This silent yoga retreat sounds amazing and I for one would like to try it! Great post. This sounds like a wonderful experience. I have always wanted to attend a yoga retreat. 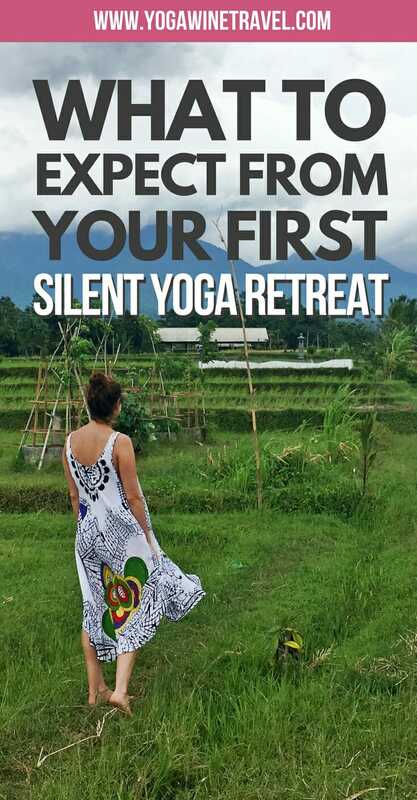 A silent yoga retreat has an additional dimension from the “traditional” yoga retreat format – if it’s your first ever retreat you may want to try a “regular” yoga retreat first! Very complete and informative! I’ve never practiced yoga, but its something I definitely want to try at some point in my life. A love the idea of a silent retreat because when you’re silent the only thing you can “hear” are your thoughts. Also, it forces you to disconnect from the chaotic world. Now with technology is nearly impossible to find peace and quite. Great post, Flo! Thanks Mariella – this is a guest post by Julia from the Roaming Flamingo, we wanted to be able to share some of her takeaways and tips! I always wondered if I’d be able to do something like this. I still don’t know, but it was fascinating to read about! I wish I had the patience for yoga… I really do need to try. A silent retreat is definitely challenging, there are lots of ways to integrate yoga into your life (beyond just the postures) – if you’re interested you should read up on the 8 limbs! Sounds like it was an interesting experience! I did a 10-day silent meditation retreat and wowww it was so tough! You sound like you found it much easier though, good for you! Totally agree with what you say about not missing your phone, it’s amazing how much we use them day-to-day yet how quickly we are to feel relaxed without them. Thanks for reading, Lula! This was a guest post by Julia from The Roaming Flamingo 🙂 Sounds like you had an interesting experience too! This sounds amazing! I think we could all use a getaway to unplug + live in the moment. And that view! Absolutely – we all need some downtime and a reset! I loved reading this post and what you got out of this experience. I have been looking at ideas for a solo trip (we have 3 kids) and I am thinking something like this would be such a great experience and obviously something I couldn;t do with the kids. Thanks for sharing. 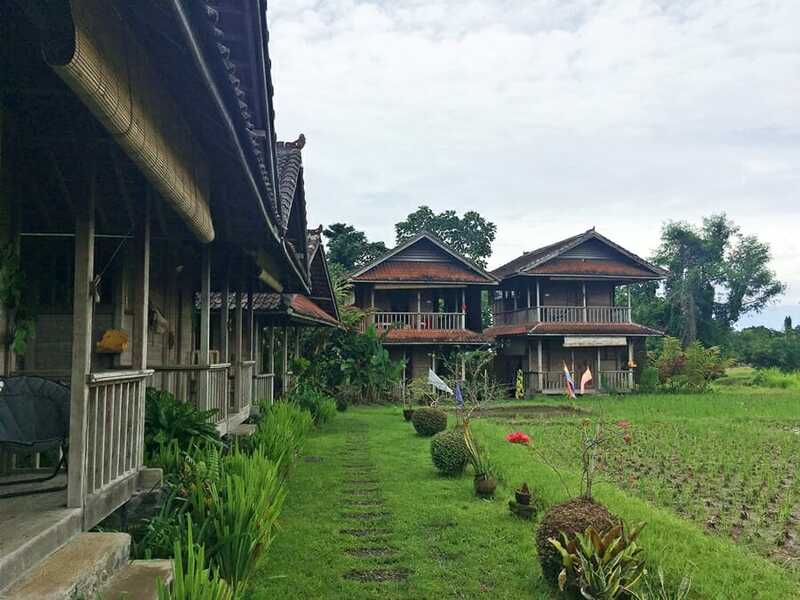 Thanks Dawn – this is a guest post by Julia from The Roaming Flamingo 🙂 Perhaps you guys could try a more traditional yoga retreat? I love the idea of living in the moment. It sounds like you went in at the deep end and I think I would have to do the same if I did something like this. Love the thought of switching off completely, Im not sure I could go this extreme first time round though Id be dying to talk! Thanks Stephanie – this is a guest post by Julia from The Roaming Flamingo ? Perhaps you guys could try a more traditional yoga retreat to start with? I love following Julia on Instagram and really liked reading about her experience 🙂 I´m considering doing something like this in the (near) future – I think I´d simply like to start with taking a few weeks of hiking in the nature and keeping away from the technology as I am badly addicted to the internet. I don´t like meditation much (I know it´s beneficial, but I´d rather hike) so a retreat where I can do yoga, don´t have to talk to anyone and can opt out of meditation if I don´t feel like it would be great. I have to have a closer look into this, perhaps when I´ll be in India or somewhere where it´s more common. Hello Nuraini, Julia attended a three-day silent retreat.